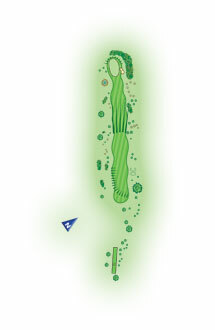 The ninth hole is a long par 4. The hole plays downhill through an avenue of trees. Stray tee shots will be blocked out. The green is usually very fast from front to back down the slope.